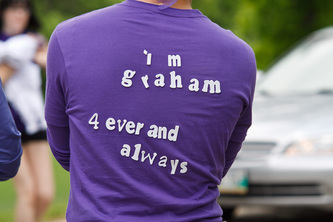 In early 2006, Graham was a typical 14 year old teenager. He was an inspired and devoted hockey player and a loving brother. However, after his sister’s cancer diagnosis in 2006, he took on the most important role of his young life, supporting his sister through her daily battles. In 2009, Graham’s involvement in Kendra’s Walk included collecting donations from the community and promoting the walk at St. John’s Ravenscourt School when his sister was unable. However, after the tragic passing of his sister, Graham, along with the rest of his family are ready to carry on his sister’s dream. He learned that even when faced with the toughest of challenges, there is nothing that an individual cannot achieve with the support of a community. He feels that being a part of the Kendra’s Walk is a privilege, and that any individual that decides to participate in the event will feel a strong sense of community and pride because they are all helping to find a cure for the terrible disease that takes the lives of beloved friends and family. Eleven years ago, Kendra was a high achieving 15 year old, getting good marks in school, horseback riding, teaching swimming lessons and hanging out with friends. She was as immortal as any teen, discovering her passion for life, thinking about boys, and dreaming of the future, until the day she was diagnosed with a rare form of cancer, and her life changed drastically. With optimism, grace and compassion for those around her, Kendra waged a lengthy battle, enduring endless treatments that seemed worse than the illness itself. 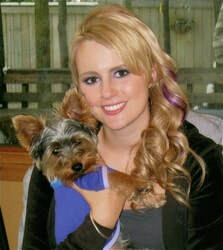 Kendra chose to fight with resolve and give back to the community she spent so much time with at Cancer Care. She determined that there was a need for space and programming for teens suffering through cancer treatment and wanted to do something about that. While still undergoing treatment herself, she organized and hosted the first annual Kendra’s Walk for Kids on May 29, 2009, and, with the help of her friends, family, fellow students and community, raised over $160,000 to support her cause. Kendra’s goal was to make her walk an annual event, and with her passing in December, 2009, it is now up to all of us whose lives she has touched, to carry on her legacy.